Audiologists and ENT physicians both treat hearing loss but there are differences between the two. Audiologists are “specialists” in the identification and treatment of hearing loss. Audiologists work with patients to help them develop coping skills and provide expert advice on the selection of hearing aids and other assistive devices. When the patient’s hearing loss has an organic or physical cause, the audiologist might recommend seeing an otolaryngologist for corrective treatment. ENTs or otolaryngologists are physicians and surgeons who specialize in treating the interrelated systems of the ears, nose, sinuses and throat. They can treat injuries of the ear, malignant or benign tumors, and neurological problems that cause hearing loss or balance problems. They’re highly skilled surgeons, able to repair perforated eardrums or fused middle-ear bones among other conditions. All Files Below Are Brought To You In PDF Format. 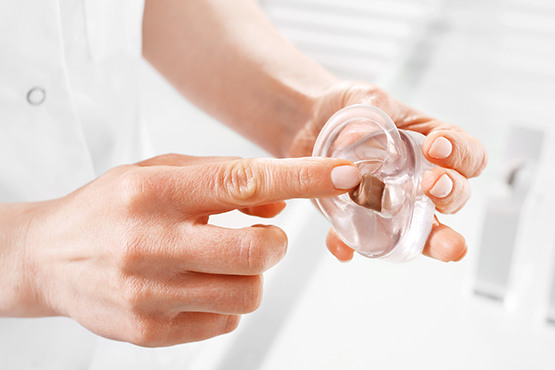 Hearing Loss and High-Frequencies: Do hearing aids really work?